Whether it is the holiday season, a birthday or you’re just looking for an excuse to buy a beer gift for someone in your life. As I write this, we are entering into the last-minute phase of Christmas shopping. The Christmas lights are up in my neighborhood, the house smells like a fresh tree and my daughter keeps asking me when Santa is coming over. Whether you love it or hate it, it’s definitely that time of year again. No matter what you celebrate or what time of the year it may be, if you’re reading this, than you are likely for gift ideas for that special someone in your life. Perhaps in this case, that special someone happens to enjoy beer, and you want to give them something that they will truly enjoy. To help you find the best gift, below you find a list of ten beer gift ideas that anyone is guaranteed to enjoy. Listed in order of price, starting with the lowest, here is our list of the best beer gifts to get for that special someone in your life. These tiny, stretchy silicone bottle caps are a great stocking-stuffer for your favorite beer geek. They’re small, durable and work great at keeping your beer fresh. Made from dishwasher safe material, BeerSavers are designed to fit most standard beer bottles, allowing you to keep a half-used bottle in the fridge without it going bad. They are also great for parties, as they help you identify which beer is yours. My favorite use for them, however, is to keep your empty bottles sterile before you fill them with your homebrew. Where to Find This Gift: Click Here to Browse All on Amazon. Despite what they might say, everybody needs a nice set of coasters readily available to them. From small scratches to water rings, a set of drink coasters are your first line of defense when it comes to protecting your furniture from the damage that may come along with the beverages, such as a freshly poured pint of beer, you enjoy while relaxing on your couch. Don’t let another coffee table get ruined because somebody was too lazy to clean up their mess. You have thousands of different coasters you can choose from. From novelty to decorative, this beer gift truly depends on the person on whom you intend to gift it to. Their personality or the decor of their home may be the deciding factors for you. Personally, I own a set of wood drink coasters, and they work great. They weren’t a gift, but they were affordable and have lasted for years now. But wood drink coasters may not be the best fit for everyone. You can choose from a variety of materials, including metal, rubber or ceramic. Browse around online and you’re sure to find the right set of drink coasters for your loved one. This is more than just a beer gift, it’s a gift that can be used for all beverages. Where to Find This Gift: The Best Selling Coasters on Amazon. If your loved one drinks a lot of bottled beer, then a wall-mounted bottle opener is another must-have gift for them. Simply mount it on the wall next to your refrigerator or somewhere in their man-cave, and they’ll be able to pop off that cap with a simple flick of the wrist. I personally like the rustic wall-mounted bottle opener, pictured on the right, but there are many options out there. Some wall bottle openers will even have a built-in bucket below it that will catch the caps as the fall. Whatever direction you choose to go, make sure you browse around and find the right one to match the decor of their home. Where to Find This Gift: Shop all Wall-Mounted Bottle Openers on Amazon. Any true beer geek knows the value of owning a sturdy growler. Designed to keep draft beer fresh on-the-go, growlers are a must-have item for everyone that calls themselves a real beer enthusiast. This growler with a metal handle is my personal favorite, not because it looks cool, but because it’s very functionable for a growler. It has the capacity to hold over four pints of draft beer. The wide lip top is easy to fill and withstands the pressure of carbonation. The metal handle allows you to carry it around, with minimal risk of dropping it. Whether you get this growler pictured or not, it’s important to remember that if you buy a glass growler that it is amber. Otherwise, you run the risk of UV light getting in and spoiling the beer. 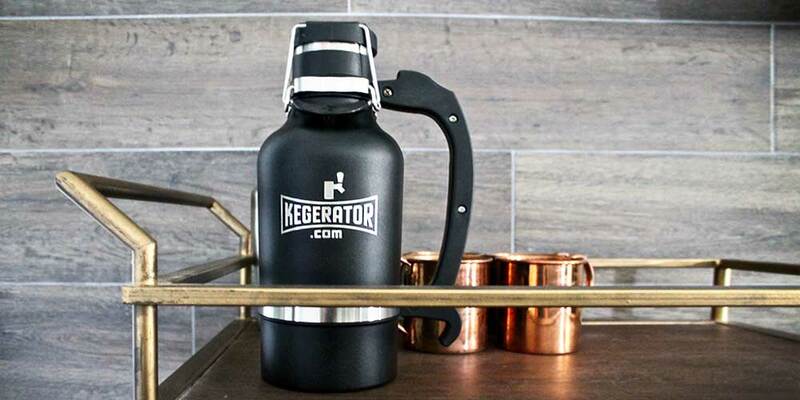 Where to Find This Gift: Shop For A Beer Growler Here. Arguably, this is the most important beer-related gift you could get for a craft beer enthusiast. There are many different types of beer glasses out there, so it wouldn’t be easy to declare any particular set as a must-have. But, if your loved one has a love for beer, then this is a no-brainer as a gift. If you know what type of beer style they prefer, then you can easily figure out which one would be the fit best for them. If not, then go with the one you think looks the best. While it’s true that the type of glass helps bring out the flavors and aromas, the first thing they’ll notice is the way it looks. My personal favorite, which I own and drink out of frequently, is the Spiegelau IPA glasses. I’ve had them for months now, and the only complaint I have about them is that my wife constantly uses them to drink Dr. Pepper. Where to Find This Gift: Shop For A Set of Beer Glasses. Flights of beer are great! With so many different craft beers hitting the shelves these days, who wouldn’t want to sample a small selection without having to commit to only one? A beer flight set is great for entertaining and tasting amongst friends. Most beer flight sets comes with four 6 oz. sample glasses and a wooden carrying paddle. However, you can find many sets that come with different types or shapes of the glassware. If you really want to give the best gift possible, include four different bottles of beer along with the set. Where to Find This Gift: Shop For A Beer Flight Set on Amazon. Whether you’re needing to ice down your beer or make mixed drinks, at some point, everybody needs a little extra ice. Which is why these portable ice makers are great to have around. While this doesn’t necessarily apply to drinking beer, or at least we would hope you don’t drink beer on the rocks, we would still recommend this as a gift for anyone that has a bar in their home. They’re small, portable and don’t require a constant water line. Simply plug it in, pour in a little water and you’ll be able to serve ice about 10 minutes later. The Edgestar Ice Maker, pictured to the right, has the ability to make up to 28 lbs. of ice every day. Where to Find This Gift: Shop For An Ice Maker for Your Bar. Hands-down, the mini kegerator is going to win this years prize as the best gift you can give to a beer snob. The Edgestar mini kegerator, pictured to the right *, is designed to dispense beer from non-pressurized 5 liter kegs. This gives you the flavors and aromas of draft beer, without taking up much space in your home. Mini 5 liter kegerators are small and built with lightweight materials, making them easy to move around and plug in almost anywhere. They come with an AC/DC power adapter, so you can bring it to a tailgate party or camping trip. We would recommend the Edgestar mini kegerator, with the Koldfront brand coming in a close second. It will be difficult to find a better mini kegerator that is not from these two brands. 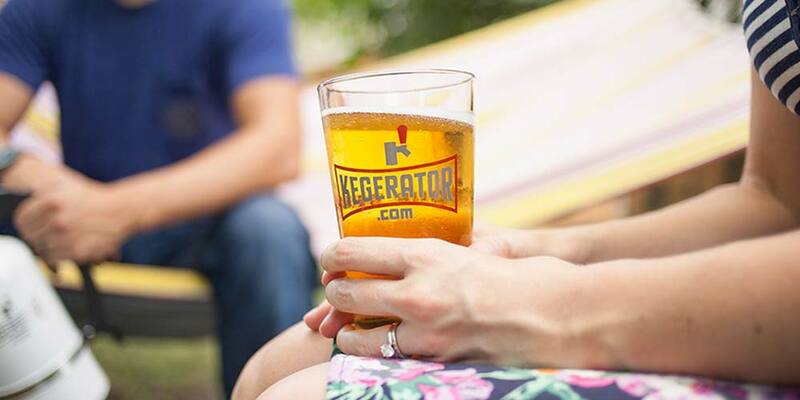 Where to Find This Gift: Shop For A Kegerator Here. *Update: Sadly, the EdgeStar mini kegerator has been discontinued. 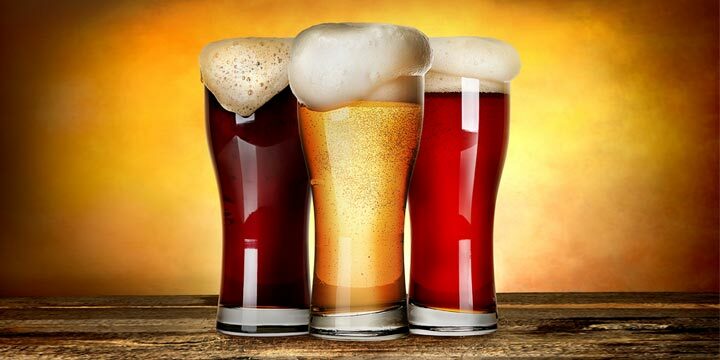 Brewing your own beer is becoming more and more popular every year. Which is precisely why a home brewing starter kit would be a great idea for a beer gift. But, having the right brew equipment is crucial, if you want them to be successful in making beer, or at least beer that tastes good. If this is a gift you are considering, there are many ways you go about getting the right homebrew equipment for your loved one. You can either buy everything individually or go with a pre-packaged equipment kit. The kits are going to be your best bet, as you can give them everything they need to get started. You can also do the same with ingredients. Available in either extract or all-grain, an ingredient kit will come with everything they need to brew a specific recipe. This is a great gift idea for anyone that you know likes to brew beer. We would recommend buying a kit, as these typically have everything you need to get started, as well as prevents the common problem of a beginner homebrewer discovering they need something in the middle of making a batch. Buying a homebrew kit will also save you a few bucks, as it’s cheaper than buying the parts individually. Where to Find This Gift: Shop For Homebrew Supplies & Equipment Here. 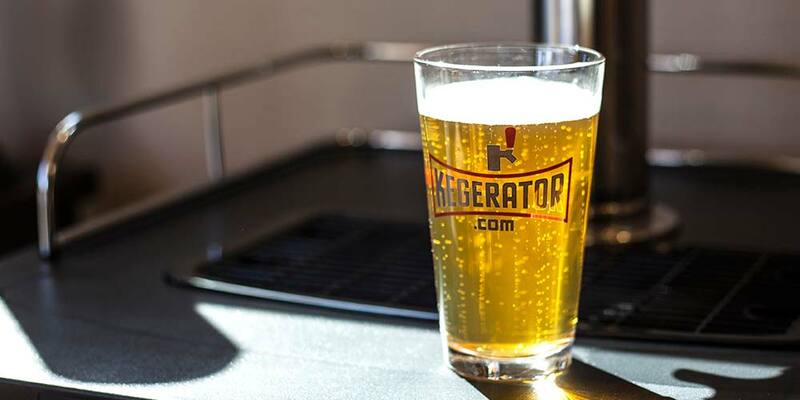 The grand-daddy of beer gifts would be the dual-tap kegerator. There is nothing quite like owning a kegerator that gives you the choice of two different draft beers whenever you want. This is a must-have for every man-cave. The stainless steel dual-tap kegerator from EdgeStar, pictured to the right, works better than any other kegerator on the market at reaching temperatures in the lower 30’s. All the components of this kegerator are made here in the USA and the tower, faucets, handles, and hoses are all NSF-approved, commercial grade. The tower of this kegerator is insulated, helping maintain an even temperature in the beer lines. Much like the mini-kegerator listed above, it would be difficult to find a dual-tap kegerator that gets the temperature down as low. There’s no better beer gift to your loved one, than the gift of having ice-cold draft beer readily available at their convenience. 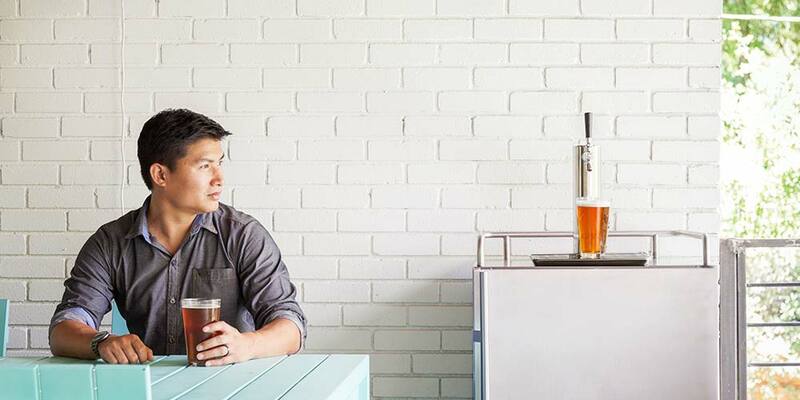 Where to Find This Gift: Shop For A Dual-Tap Kegerator Here. Hopefully, this list of beer-related gifts was able to give you some ideas on what to get your loved ones this holiday season. There are many things not included on this list, like beer-related t-shirts and books. However, I was reluctant to add those to the list as they didn’t directly involve a tasty brew. If you have any beer gifts that you would recommend to our readers, I would definitely like to check them out. Please suggest your gift ideas down in the comments section below. 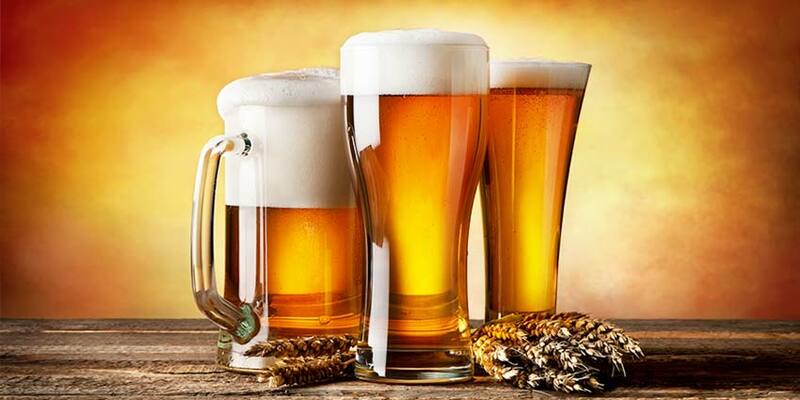 But ice cold glassware minimizes the aromas and flavors of the beer! You do not want ice cold beer unless it is the miller light stuff. 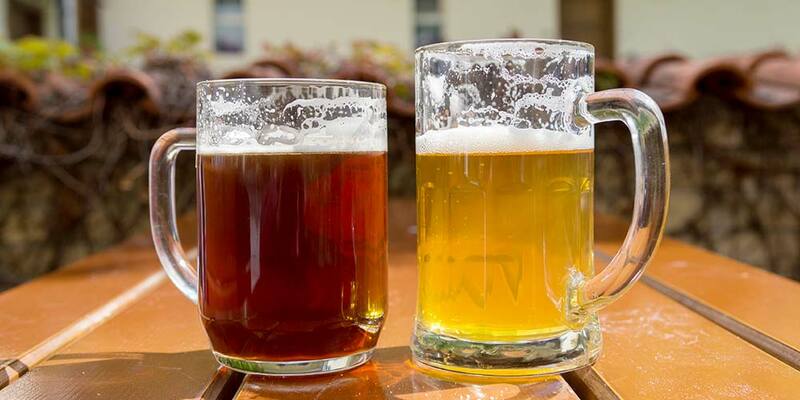 Ales should be around 50 degrees and lagers around 40-45. You want crappy beer cold so you don’t taste how crappy it is. 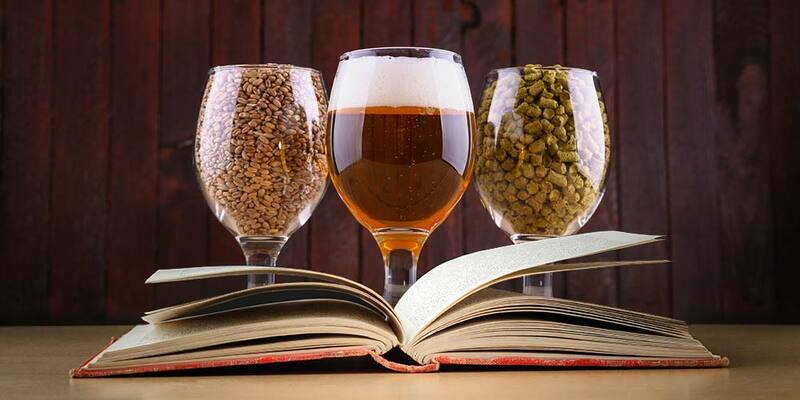 You want good beer cool since you want to taste the complexities of the flavors. Love the Mini Kegerator. I have that model and it’s the best one on the market. It’s probably meant more for your larger bottles of craft beer, like your 40 ouncers and such. Y’know so you can enjoy a glass without having to commit to the whole bottle. I’m not even a beer drinker and I was thinking the same thing! 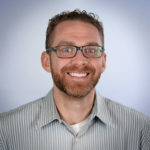 My Name is Rod Hess I am the inventor of the revolutionary GrowlerGasket and GrowlerGrasp. I think my products would go well with your top 10. Please check out our website at GrowlerGrips.com and see what you think?